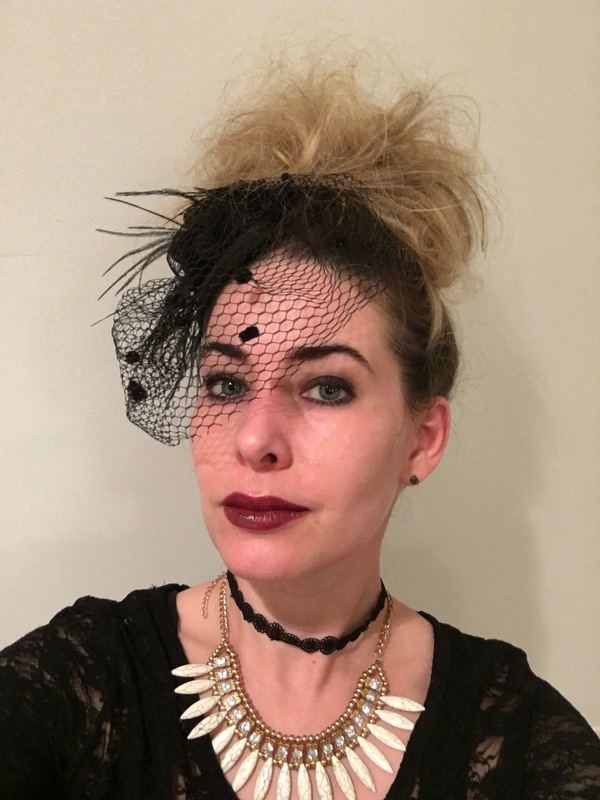 I am a passionate Halloween queen. It is my most favorite holiday and I go. all. out. You might recall my bucket list trip to Salem. It was a dream. 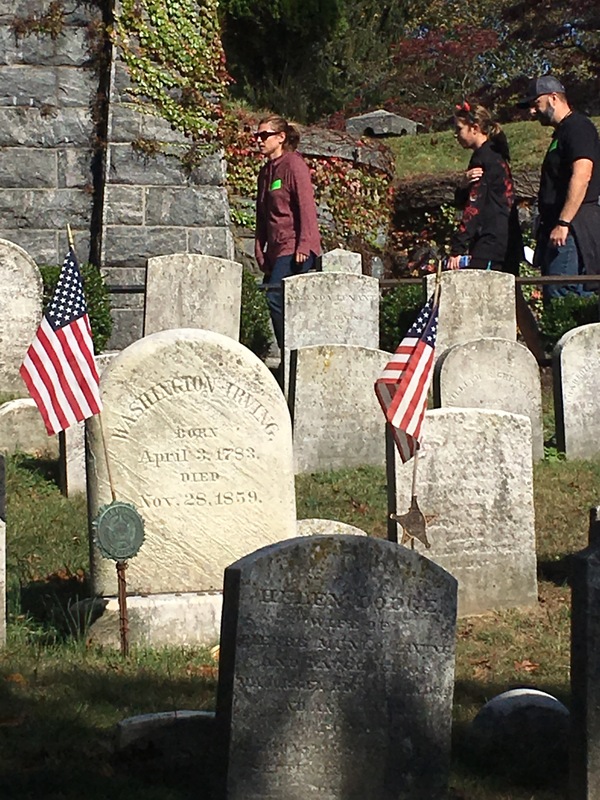 This Halloween, I visited another American Halloweentown – Sleepy Hollow, New York, the setting of The Legend of Sleepy Hollow. I booked this trip in January, by far, the most important goal on this year’s list. This area embraces its history and takes its spooks seriously. Plus, this area is so charming, especially during autumn’s changing colors. 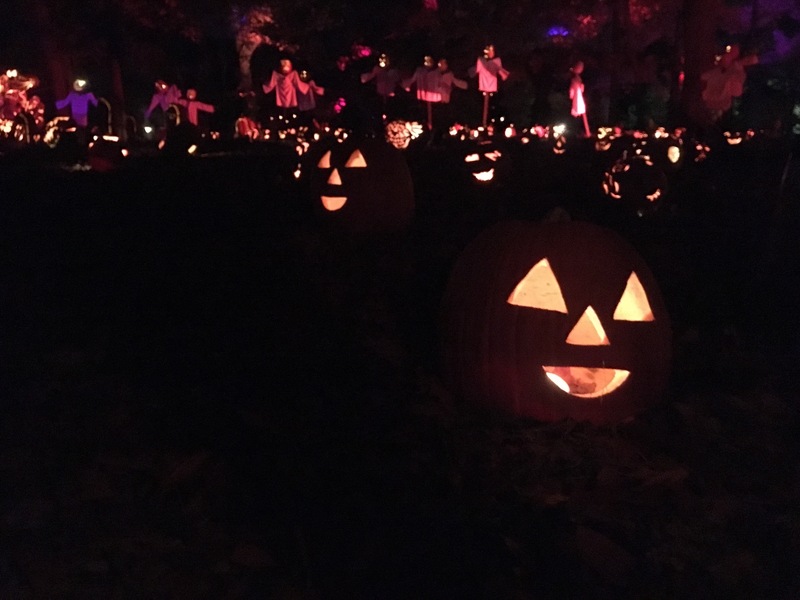 The area, 30 miles or so north of Manhattan, has a lot of Halloween to offer, including the Great Jack-o-lantern Blaze, which we visited our first night. 7,000 carved and lit pumpkins. Get out of here. It was beautiful. For a video of this experience, visit our FB page. 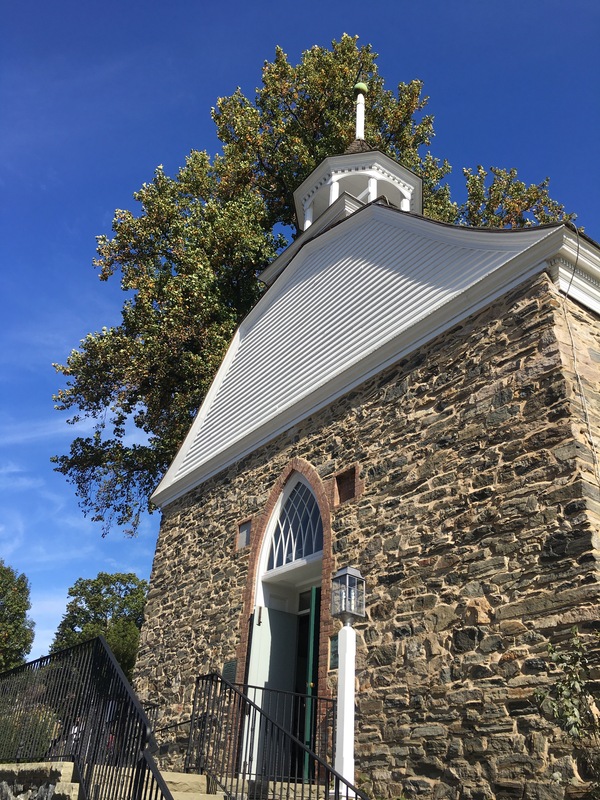 Kind of on the same grounds, there’s also the Sleepy Hollow Cemetery, where Washington Irving, author of The Legend of Sleepy Hollow, is buried. This cemetery is particularly beautiful because at the top of the hill, you can see the Manhattan skyline in the distance. Here’s his tombstone. 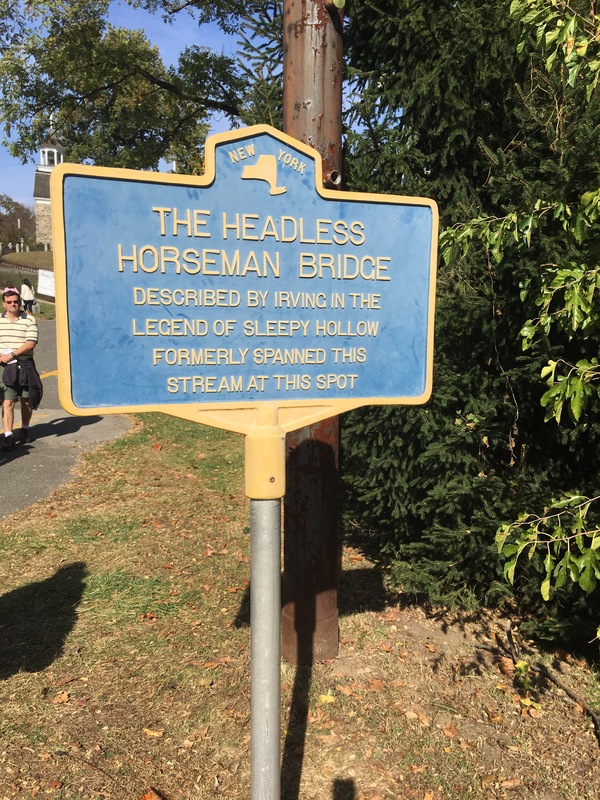 The cemetery was packed with all types of visitors, including the Headless Horseman himself. I love when towns embrace their history. The fire trucks even feature a headless horseman. Amazing. 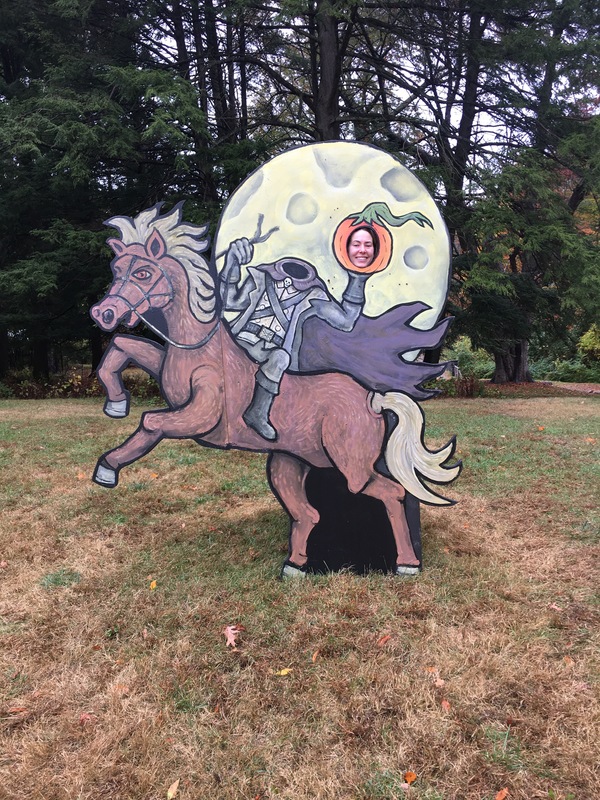 A quick photo opp with the Headless Horseman statue. 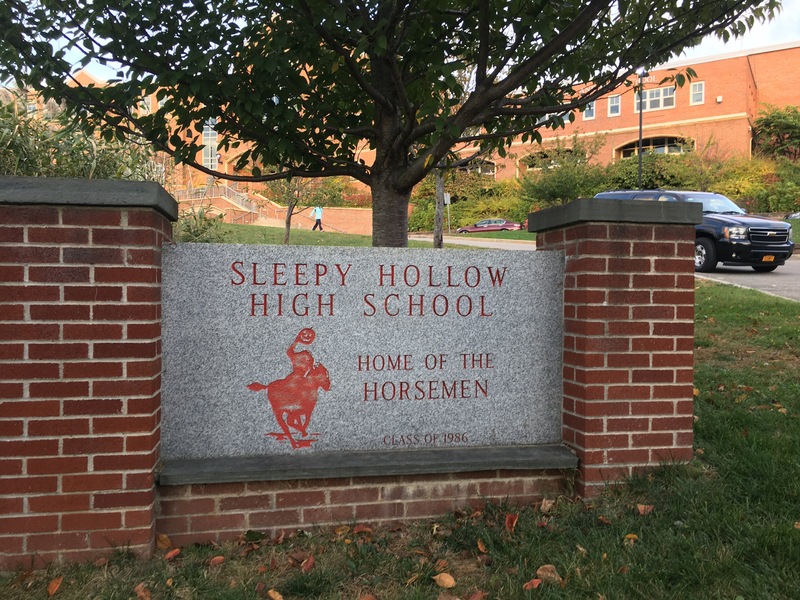 Interesting fact: Sleepy Hollow High School’s mascot are the Horsemen. Every homecoming this guy and his horse, dressed like the headless horseman, run with the football team. We ended up seeing him during the Tarrytown Halloween Parade. 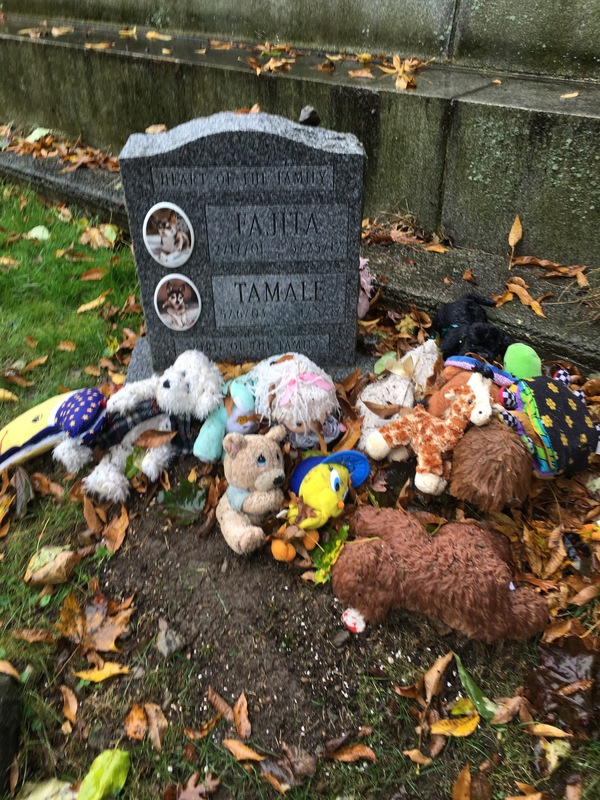 On our third day, we visited Hartsdale Pet Cemetery, the country’s oldest operating pet cemetery. The tombstones’ epitaphs were more loving than human cemeteries. It was a strangely emotional experience. So many beloved animals enrich the lives of us undeserving humans. Look, even little Fajita and Tamale are still receiving chew toys. 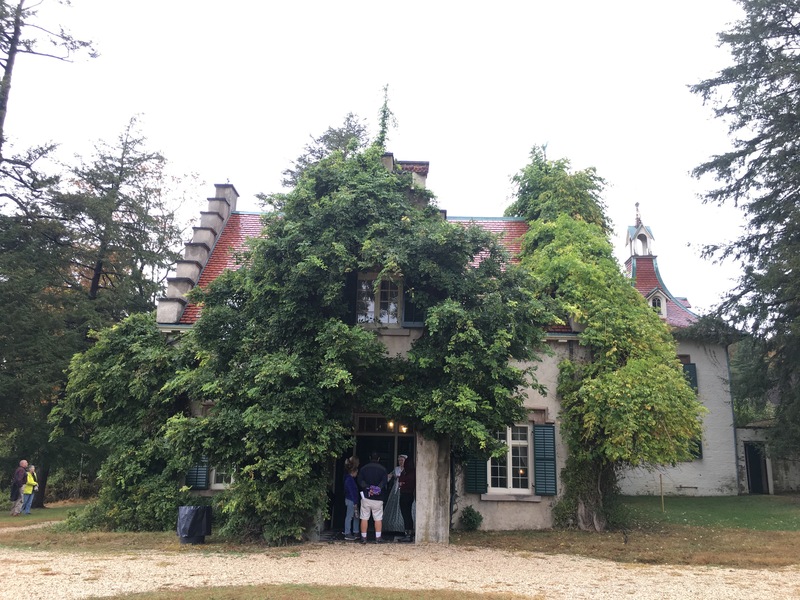 On our way back home, we stopped at Washington Irving’s Sunnyside estate. Charming. On our last night, my coven, consisting of my mom, sister, and aunt, dressed like the dark queens we are and went out on the town. Of course, “out on the town” meant we were back home at 9. Rat’s nest hair, compliments of my mom. I had a great time, obvi. 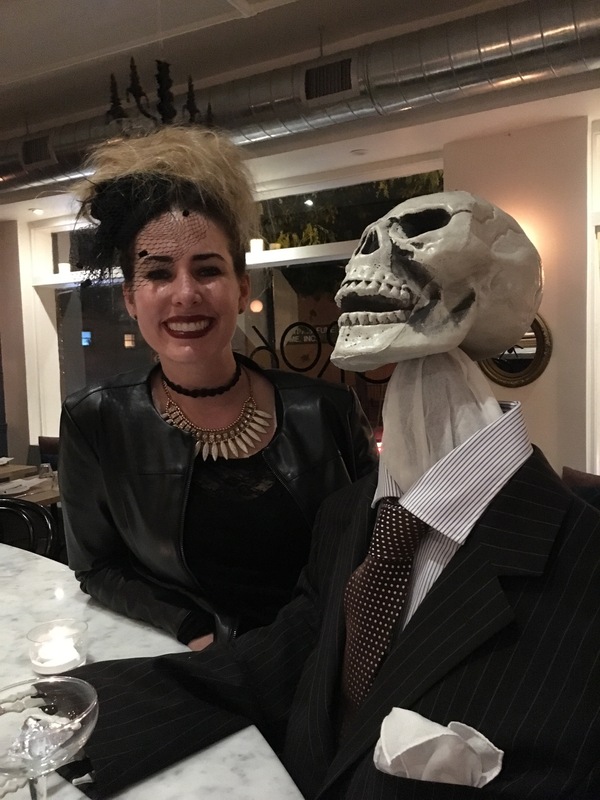 Though, I was Halloweened out after this weekend, I had one more Halloween activity to attend. We entered ourselves into a costume contest as Serena Williams and her Wimbledon trophy. I told you that I like to go all out. This sounded like such an amazing trip! I’d never thought of doing sleepy hollow around Halloween but it sounds so fun! 🙂 great suggestion! 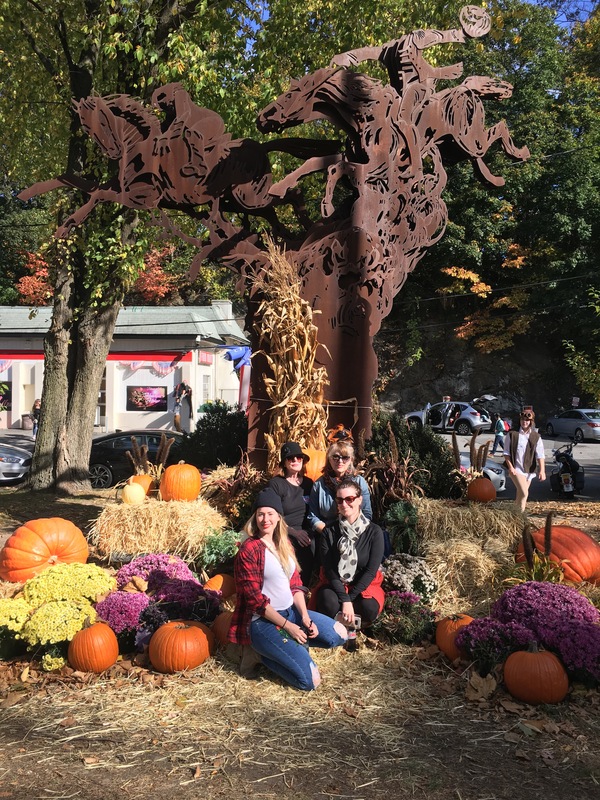 It couldn’t have been a more perfect fall trip!